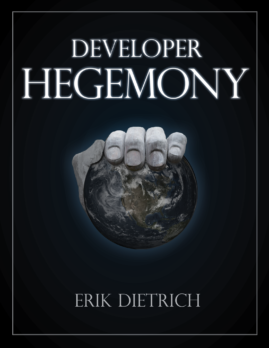 There are few things in software development as surprisingly political as merging your code when there are conflicts. Your first reaction to this is probably to think that I’m crazy, but seriously, think about what happens when your diff tool/source control combo tells you there’s a conflict. You peer at the conflict for a moment and then think, “alright, who did this?” Was it Jim? Well, Jim’s kind of annoying and pretty new, so it’s probably fine just to blow his changes away and send him an email telling him to get the latest code and re-do his stuff. Oh, wait, no, it looks like it was Janet. Uh oh. She’s pretty sharp and a Principal so you’ll probably be both wrong and in trouble if you mess this up — better just revert your changes, get hers and rework your stuff. Oh, on third look, it appears that it was Steve, and since Steve is your buddy, you’ll just go grab him and work through the conflict together. 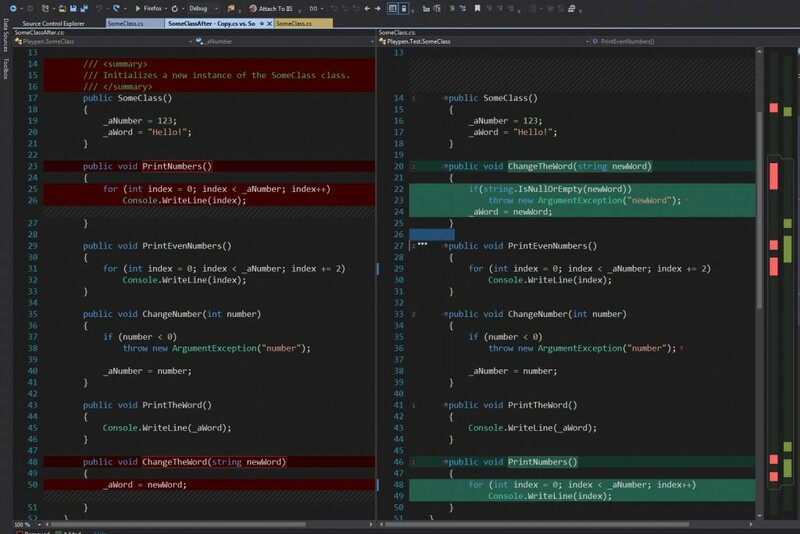 Notice how none of this has anything to do with what the code should actually look like? Now, I’ll grant that this isn’t always the case; there are times when you can figure out what should be in the master copy of the source control, but it’s pretty likely that you’ve sat staring at merge conflicts and thinking about people and not code. Why is that? Well, frankly because merge tools aren’t very good at telling you the story of what’s happened, and that’s why you need a human to come tell you the story. But which human, which story, and how interested you are in that interaction are all squarely the stuff of group dynamics and internal politics. Hopefully you get on well with your team and they’re happy to tell you the story. 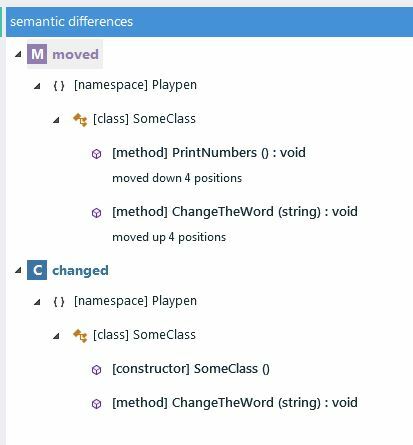 I’ve been poking around with Roslyn and reading about it lately, and this led me to Semantic Merge. This is a diff tool that uses Roslyn, which means that it’s parsing your code into a syntax tree and actually reasoning about it as code, rather than text (or text with heuristics). As such, it’s no mirage or trickery that it can say things like “oh, Jim moved the method but left it intact whereas you made some changes to it.” It makes perfect sense that it can do this. Let’s take a look at this in action. I’m only showing you the tiniest hint of what’s possible, but I’d like to pick out a very simple example of where a traditional merge tool kind of chokes and Semantic Merge shines. It is, after all, a pay to play (although pretty affordable) tool, so a compelling case should be made. Before you see how cool Semantic Merge is, let’s take a look at a typical diff scenario. I’ll do this using the Visual Studio compare tool that I use on a day to day basis. 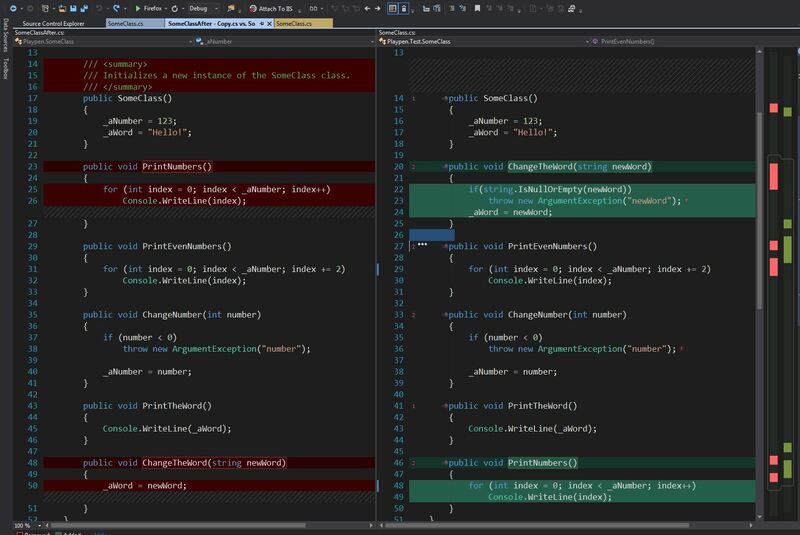 And I’m calling this “the old way,” in spite of the fact that I fell in love with this as compared to the way it used to be in VS2010 and earlier. It’s actually pretty nice as far as diff tools go. I’m going to take a class and make a series of changes to it. /// Initializes a new instance of the SomeClass class. It shows me that there are two types of differences here: moves and changes. I’ve moved the two methods PrintNumbers() and ChangeTheWord() and I’ve changed the constructor of the class (removing comments) and the ChangeTheWord() method. Pretty awesome, huh? Rather than a bunch of screenshots to show you the rest, however, however, I’ll show you this quick clip of me playing around with it. Some very cool stuff in there. First of all, I started where the screenshot left off — with a nice, succinct summary of what’s changed. From there you can see that it’s easy to flip back and forth between the methods, even when moved, to see how they’re different. You can view each version of the source as well as a quick diff only of the relevant, apples-to-apples, changes. It’s also nice, in general, that you can observe the changes according to what kind of change they are (modification, move, etc). And finally, at the end, I played a bit with the more traditional diff view that you’re used to — side by side text comparison. But even with that, helpful UI context shows you that things have moved rather than the screenshot of the VS merge tool above where it looks like you’ve just butchered two different methods. This is only scratching the surface of Semantic Merge. There are more features I haven’t covered at all, including a killer feature that helps auto-resolve conflicts by taking the base version of the code as well as server and local in order to figure out if there are changes only really made by one person. You can check more of it out in this extended video about the tool. As I’ve said, it’s a pay tool, but the cost isn’t much and there’s a 30 day trial, so I’d definitely advise taking it for a spin if you work in a group and find yourself doing any merging at all. This is very interesting. I really have to get my hands on Roslyn soon. I strongly feel that it will revolutionize many aspects of software development.